Allison Galloway was elected the new campus provost and executive vice chancellor Sept. 16. She says she hopes to bridge the divide between the administration and students. Photo by Prescott Watson. Galloway has previously served in several administration positions at UCSC, including University Extension (UE), a program that required extensive budget restructuring. This year is the first time in over a decade that UE will be filing no deficit. As CP/EVC, Galloway is responsible for academic and administrative operation of the campus, including budget planning. 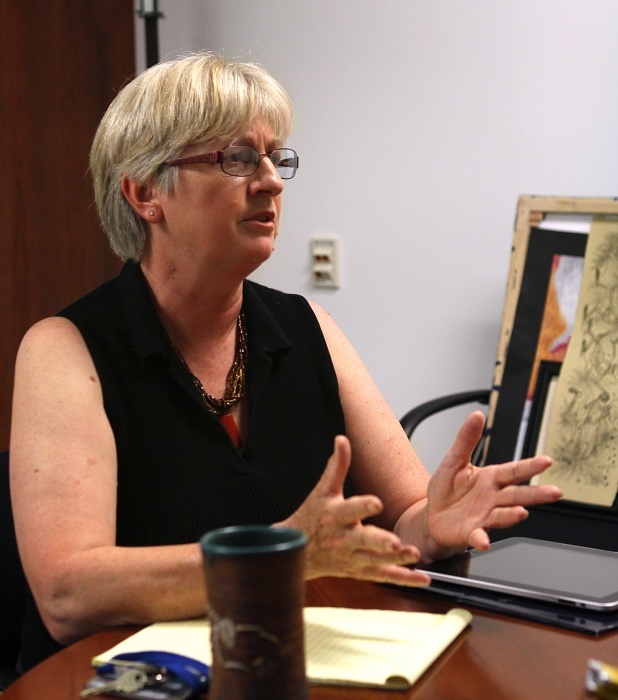 Since her appointment, Galloway has met with the departments on campus and made it a priority to grant more teaching assistantships and make classes more accessible for students, she said. The school does not plan to cut any programs within the coming year, she said, though planning for the future of the community studies program is ongoing. Despite the failure of both the UC Regents and the state to release their budgets, UCSC is prepared for the potential outcomes, she said. “Even if the state budget for education is less than we expected, we will not be taking back money from any of the departments,” Galloway said. Galloway emphasized the importance of maintaining open communication with the university community. In addition to managing university funds, Galloway will also manage day-to-day university administrative duties. Former CP/EVC Kliger was often the target of media attention and student action. Though Galloway said she will “definitely be the enemy” at times, she will attend the day of action to defend public education on Oct. 7. Though it is hard to hear news of the difficulties UC campuses face, Galloway said, working at UCSC makes her optimistic for the future of public education.